Relecura’s Inventor Index (i-index), introduced two weeks ago, quantifies the impact of your patents and provides you with a score – that can be used to showcase your expertise by conveniently sharing it with the world. Patents disclose novel ways of solving problems or present completely new ways to create and deliver products and services. 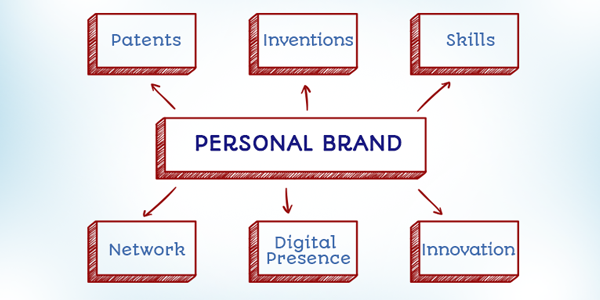 The number and quality of your patents can be used to enhance your personal brand as a creative problem solver and solution provider. A global survey by IBM revealed that leaders around the world rank creativity higher as a required skill for leaders, even above qualities like integrity, managerial skills or a vision for the future. The emphasis on creativity isn’t just about generating out-of-the-box ideas, but more about finding effective solutions to existing problems or coming up with new ways of efficiently delivering products and services in a cost-effective manner. The truly seminal ideas are cited by others and are further worked upon and improved to yield incremental benefits to industry sectors, customers and users. 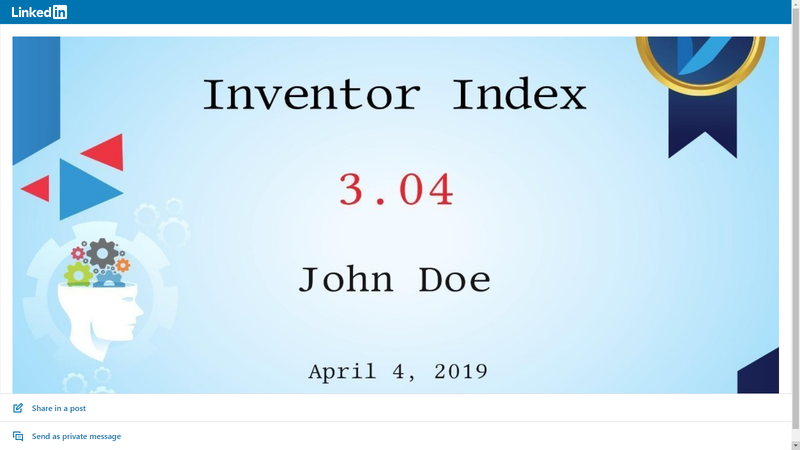 The i-index aims to provide inventors with a means to obtain an objective measure of their creativity and showcase this to the world using their patents. Once calculated, the i-index can be shared with others via email or on social media. The calculation of the i-index incorporates both the number of new ideas the inventor has generated as well as how far-reaching they are. We have updated the features in the i-index site, to make it easier for you to calculate and share your creativity score. Once you enter your details and obtain a list of your patents, your report with the inventor score is ready. You can login to share your report with others. We now have direct links to social media platforms – LinkedIn, Twitter and Facebook. When you click on a link, your report certificate is shared on your social media feed. To share it with others via email, click on the mail icon and enter the addresses to send your score to. LinkedIn helps you to build a professional presence and showcase your skills and expertise. You can share your i-index here to leverage the value of your patents. In a similar manner, you can share the inventor report on other social media platforms, on your company website and other online digital profiles. Visit the i-index site today to obtain your creativity score and enhance your personal brand. Watch our video to know more about the improved i-index features.